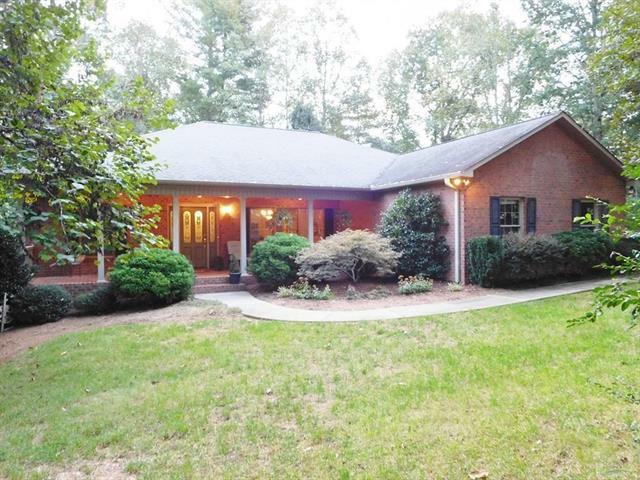 Custom built Springwood home on beautifully landscaped wooded lot. Home features recent oak hardwood floors and tile, remodeled kitchen with granite counter tops, tile back splash, recent appliances and custom sink. Inviting breakfast area off kitchen. Open Great Room, perfect for relaxing or entertaining, features living and dining areas with gas log Fireplace. deck upstairs/downstairs covered patio on rear of home for entertaining. Master suite features His & Hers closets, master bath features 2 private sinks. 2 additional large bedrooms on the main level, laundry, plus a garage. 1361 heated sq ft living space on lower level with large family room, 4th bedroom with walk in closet, 3rd bathroom and additional 18 x 16'10 bonus/playroom (carpeted) with gas log fireplace. 6'1 x 6 climate controlled storage, unfinished portion of basement accessible from large double door great for yard equipment and workshop area. Numerous flowering trees, shrubs and plants highlight the landscaping. Sold by Real Living Carolina Property.